A Fun Place for your Pet! At Calling All Paws, we are dedicated exclusively to the care of your pet. Our number one goal is to provide your best friend with the ultimate pawsitive experience during their time here, while giving you the peace of mind that your family is our family. 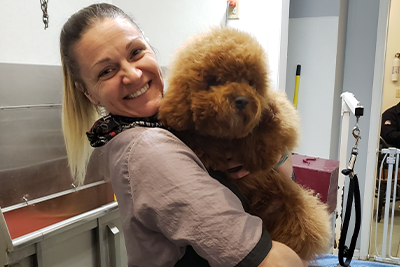 Our groomers are skilled at working with even “difficult” pets (including seniors, special needs, and anxious pets) with patience and tender loving care. 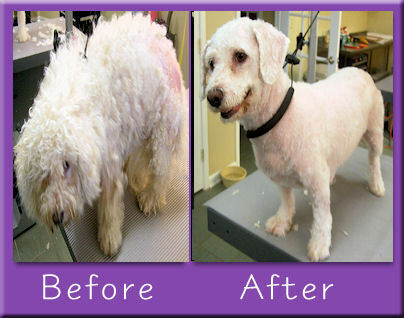 Many of our grooming clients have been turned down by other salons, but love, patience and positive rewards will work wonders with even the most challenging pet. 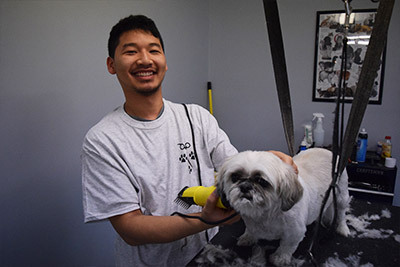 Our groomers are passionate and committed and can cut and style your pet’s coat according to breed standards, your requests, and the latest pet styles. 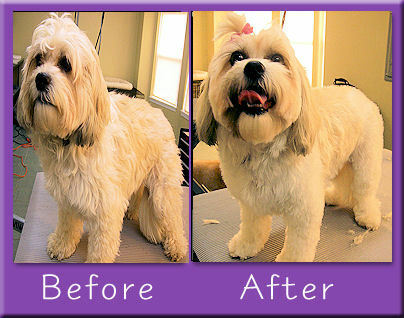 We utilize the Hydrosurge system to bathe your pet and we hand dry your pet. 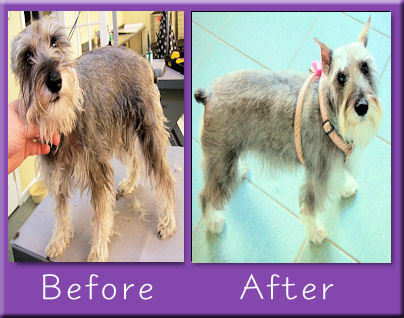 We offer an array of grooming services, in addition to the basic grooming session. There's no need to worry if you have an uncommon breed; we love and welcome all breeds and enjoy new challenges. 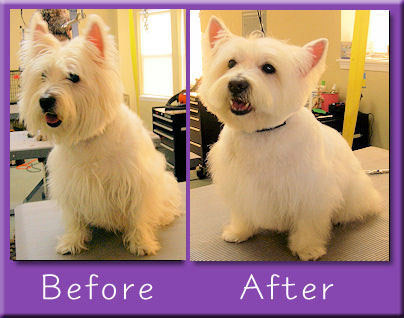 So give us a call today and let us pamper your pet. Our shampoos and conditioners will get your pet squeaky clean. 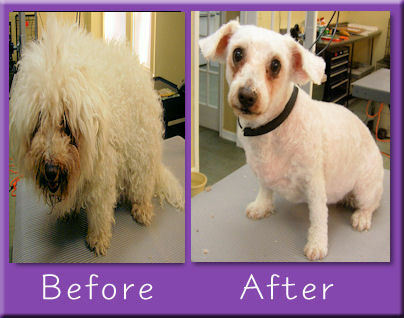 We also have flea, tick, oatmeal, and hypoallergenic treatments available upon request. Whether you have a little Shih tzu or a large Poodle, we will give your pet 1-2 baths as needed to get your pet as clean as possible! Dogs can get chronic yeast or bacterial infections, and our ear cleaning process will help keep your dog happy and healthy! We’ve seen it all and trimmed it all. 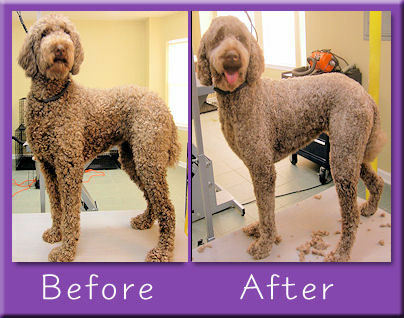 We will keep your pet’s private areas trimmed so you don’t have to worry about any sticky business! 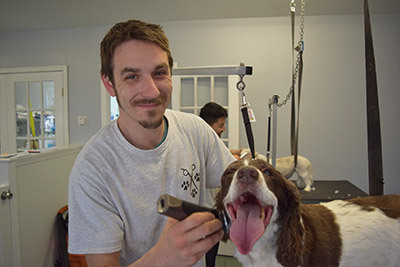 We have all the proper equipment to make nail trimming and filing a great eperience for your pet! Who said people are the only one’s who can enjoy a nice relaxing spa day? A blow dry and combing out all come standard with our grooming package! 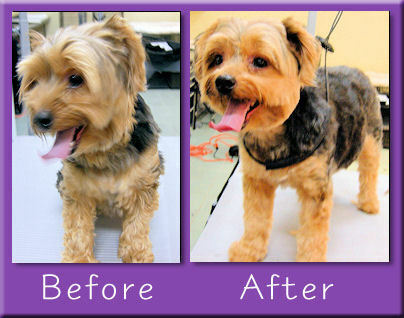 Our grooming professionals are specially trained in full scissor cuts and custom pattern cuts so whether its a Poodle, Yorkie, or Maltese, we got you covered! Our feline friends are kept in separate quarters and serviced at a different time of day. Cats appreciate special attention and proper pampering and we accommodate their every need! Please note that all walk in services are cash only. Thank you! © 2019 Copyright Calling All Paws Grooming.